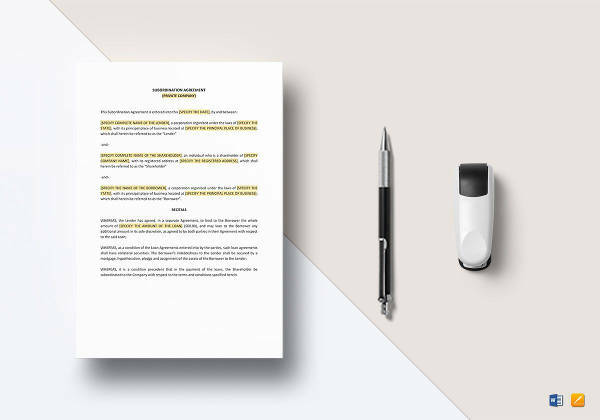 In the event that you would need to have something which contains the terms and conditions around a particular matter which certain parties need to agree to before any business can take place, then you’ll need an agreement document. 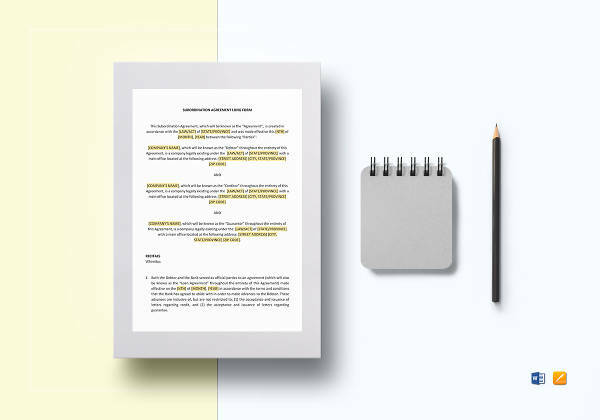 While there are a ton of things like commercial agreement examples that can help give you an idea, it’s best that you know what agreement document should be used for the right purpose. 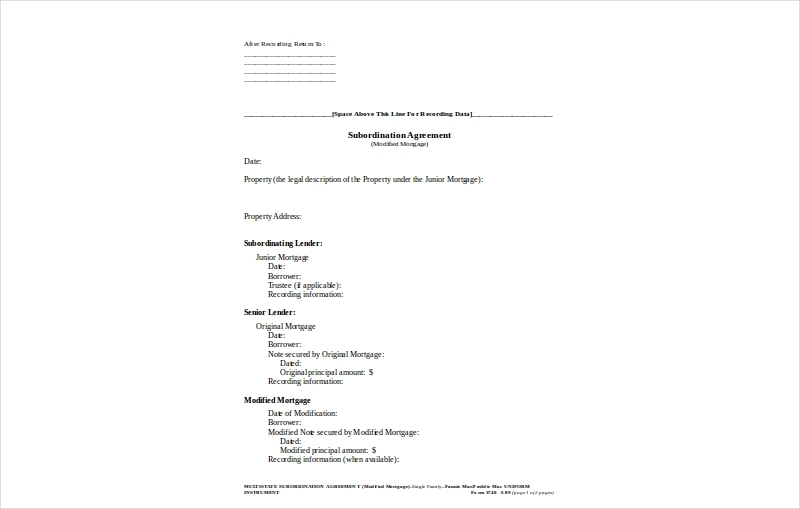 For example, one would need to create management agreements in the event that certain parties need to come to terms on how a particular establishment is to be managed. 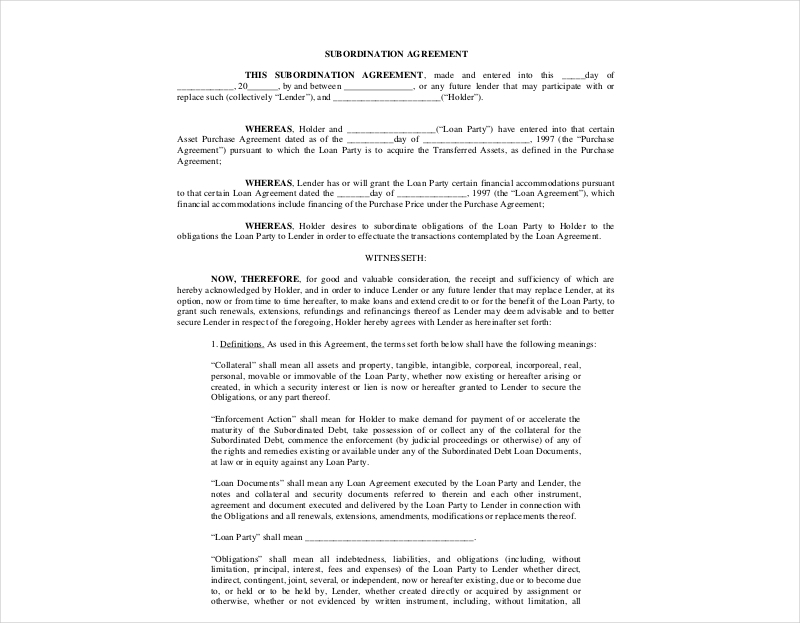 So let’s say that you want a document which discusses the terms of a a particular party’s lien. 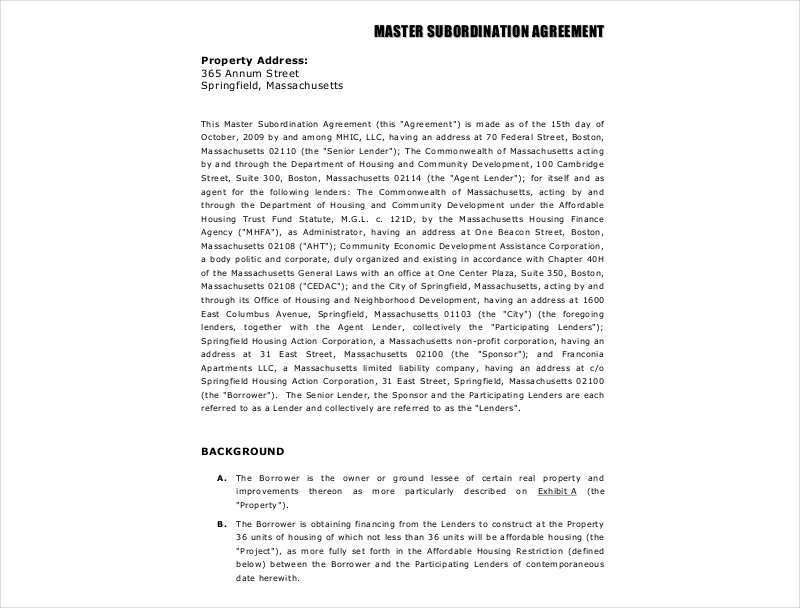 This would mean you would have to create a subordination agreement and this article will teach you how to make one. 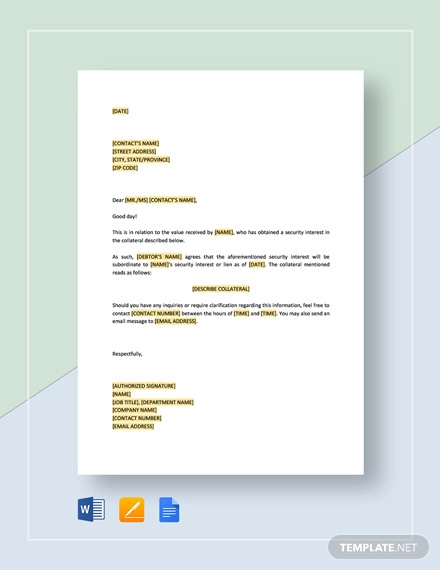 Now that you’ve learned what this document is all about, the next step is actually making it. 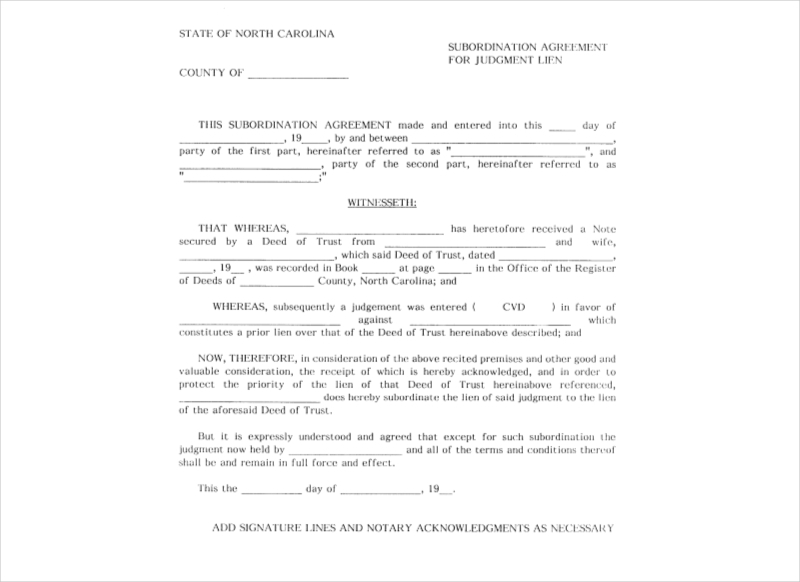 Much like a rental agreement or even a commission agreement, a subordination agreement will require the necessary information so that anyone who goes through the document will be able to understand everything related to the lien and lien holder. 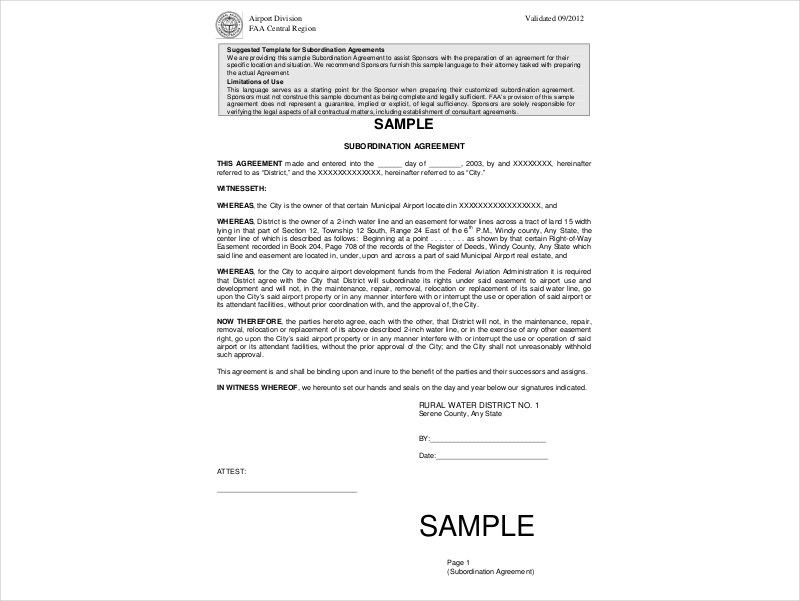 If you had an agreement where a client would like to set the terms and conditions on how an attorney would provide his or her services, then wouldn’t you want the document to have the title of “attorney agreement“? The kind of title you come up with has to match with the main subject of the agreement. 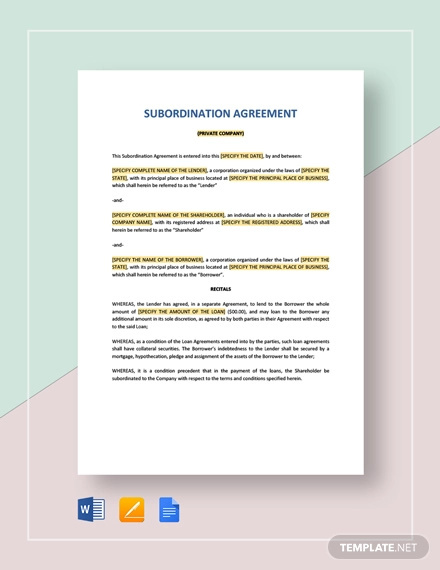 Since we’re talking about a subordination agreement, the only thing you have to make sure of is that it contains the words “subordination agreement” and anything others that’s appropriate and related to the matter. 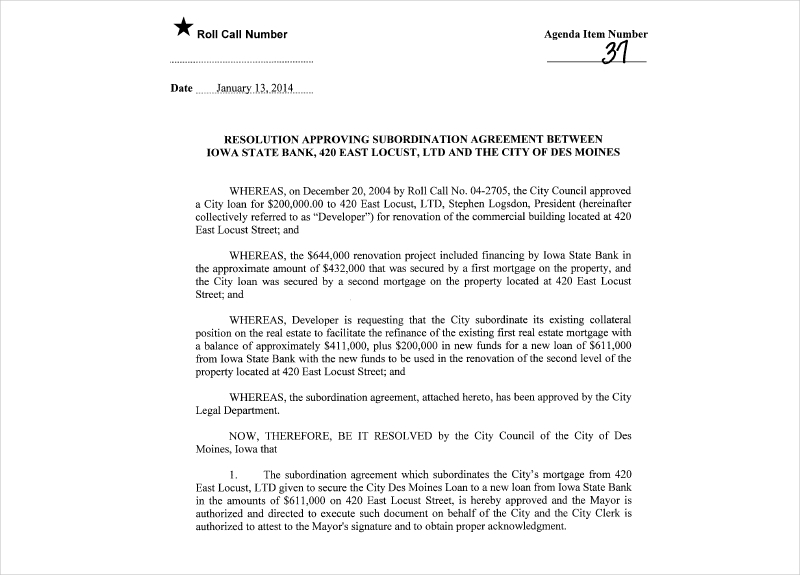 You’ll notice that settle agreement or even service level agreement contain the dates in which they were made. 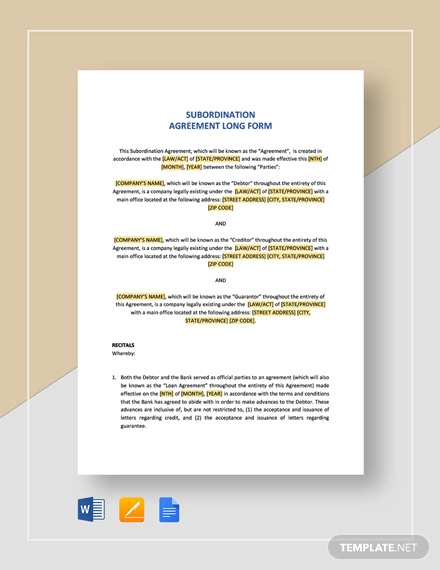 The reason as to why you would want the information in your subordination agreement is because you’ll never know when there will come a time that you have to prove in court as to when the document was created. So make sure that the date includes the month, day, and year so that there will be no confusion or misunderstanding as to when the agreement was made. 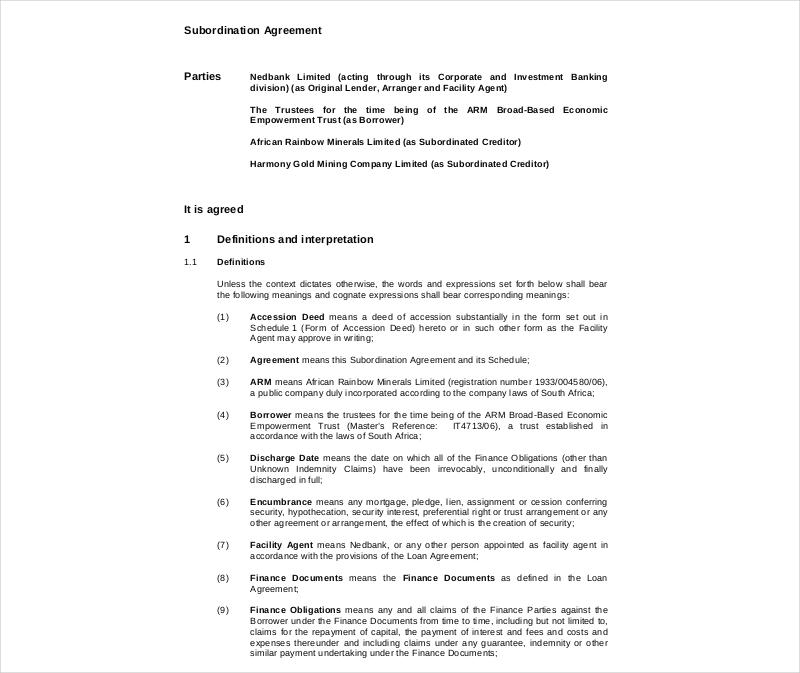 In a maintenance agreement, there’s always that section which involves the name of the client and that of the service provider. 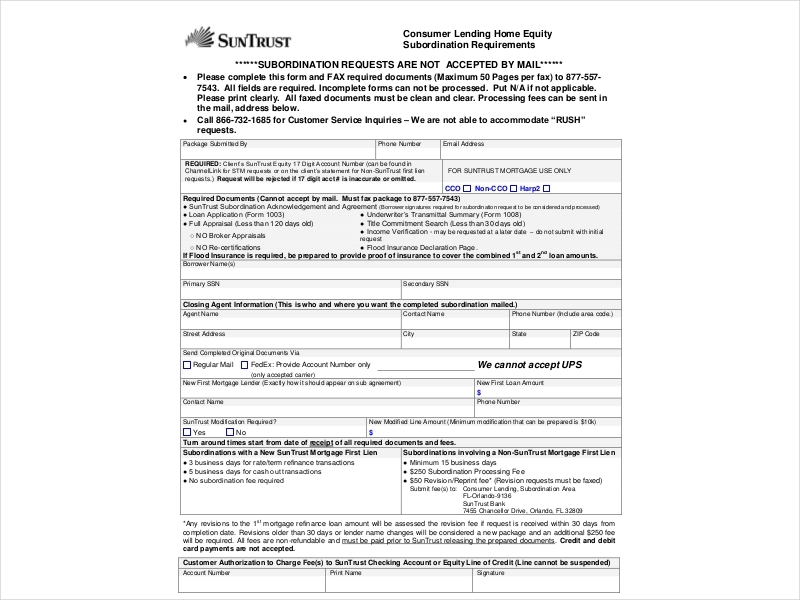 This section should also be in your service provide as you want to point out which is the lien holder and the company that’s acknowledging one’s claim. 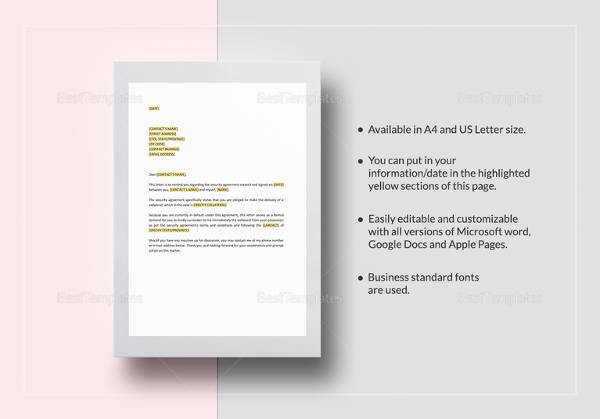 Be sure that you place in their complete names into the document as well as their roles so that anybody who goes through the document will have an easy time in understanding who does what. 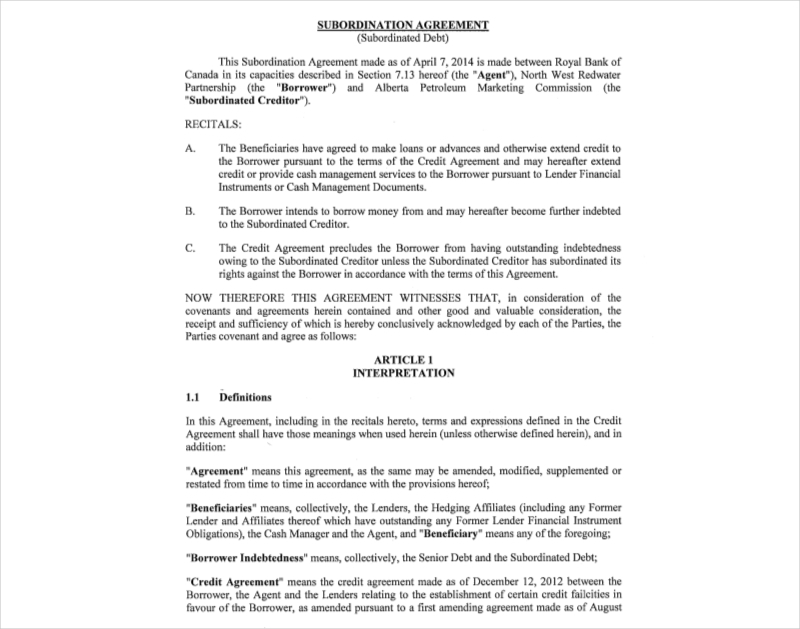 You’ll notice that even a credit agreement contains the terms and conditions regarding how one can achieve a loan. One cannot just take precedence or acknowledge one’s interest as inferior if there are no terms which will allow him or her to do so. 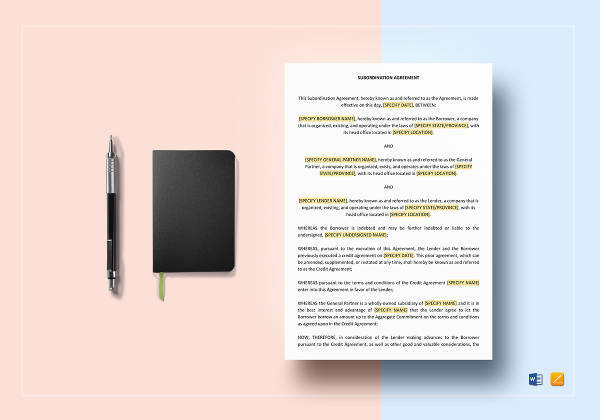 This means the terms and conditions have to be set so that the parties involved will undestand what it is that they need to do and what it is that they’re not supposed to. 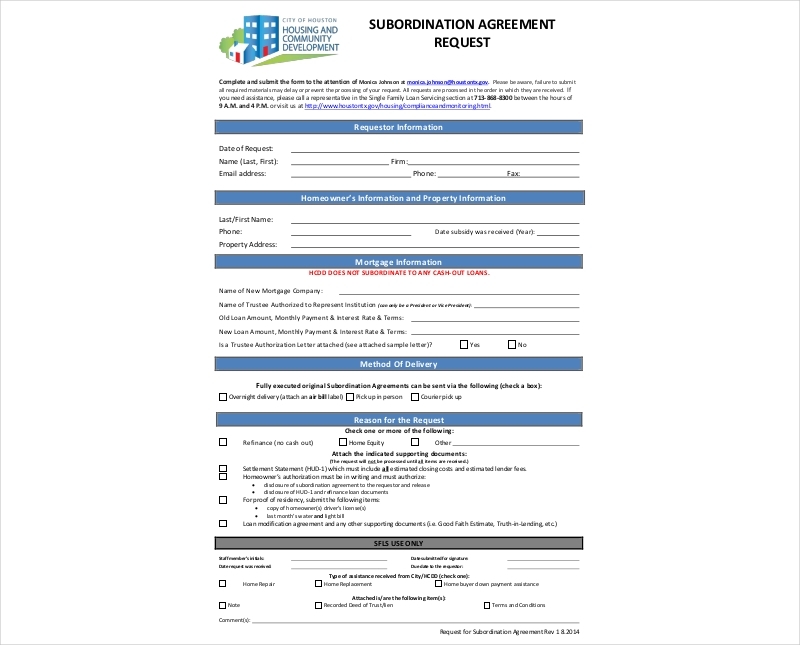 Make sure the the terms and conditiongs regarding the subordination agreement is as detailed as possible. Another thing is that you have to make sure that the names and roles of these people are also within the document as this can be further used as evidence when one needs to point out matters regarding who signed the document or when it was signed. 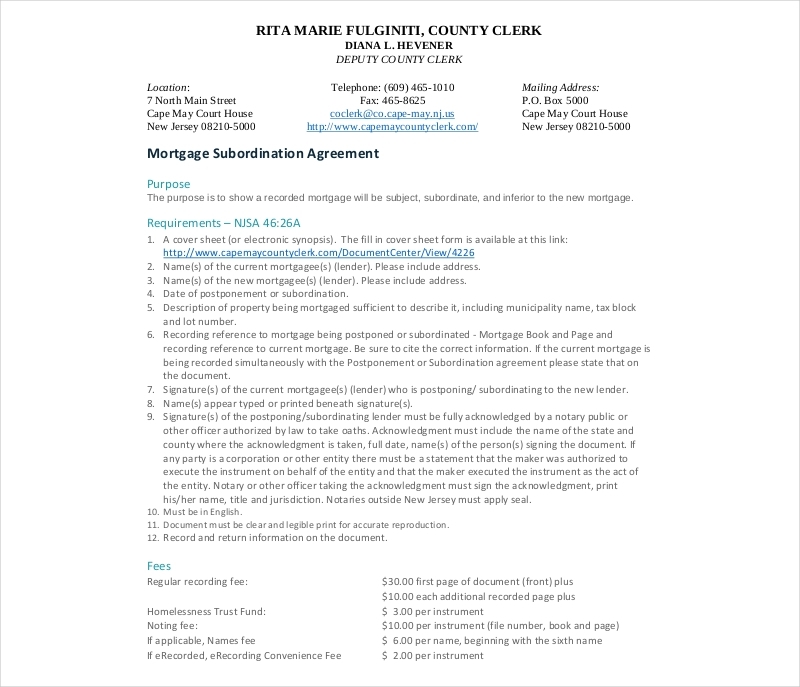 If you would like to learn about other types of agreement documents (promotion agreement, services agreement, conveyance agreement, etc. ), then all you have to do is go through our site. We have all the articles you need to help you come up with the information that’s useful in whatever situation you need them for. Just make sure that you go through the articles thoroughly so that you can make effective use of what you have gathered.